Dr. Madeline Sterling: Thank you so much for the warm welcome! I’m really excited to join the faculty in the Division of General Internal Medicine (DGIM) and remain in what has felt like a family to me for the last five years. For as long as I can remember, I’ve always wanted to be a primary care doctor -- taking care of the whole person and having long-lasting relationships with patients and their families. I think I caught the research bug during my senior year at Cornell University (CU c/o ‘08). I did a lot of volunteer work at the university’s Public Service Center and realized that physicians could affect change at the patient level, but they also had a unique opportunity to affect patients’ health and healthcare at the population level through research, policy, or advocacy work. With that in mind, I decided to return to my home state of New Jersey to pursue a dual degree in medicine and public health (M.D./M.P.H.) at Rutgers University. Afterwards, I came back to Weill Cornell Medicine for residency in Internal Medicine (Primary Care Track) and subsequently completed the T32-AHRQ Fellowship in Clinical Epidemiology and Health Services Research. My research interests emerged as a result of taking care of patients as a general internist. Throughout my training I found myself drawn to cardiovascular disease and the social determinants which affect health outcomes. Over the last few years I have been focused on improving the lives of adults with heart failure (HF), a chronic disease associated with high morbidity and mortality, poor quality of life, and high costs for the healthcare system. In particular, I study social and cognitive determinants of HF disease management and health outcomes using quantitative and qualitative research methods, as well as community-engaged approaches. Ultimately, my goal is to design novel interventions to improve healthcare delivery for adults with HF, helping them to avoid hospitalization and have an optimal quality of life at home. Dr. Pelzman: How does it feel working with primary care folks? 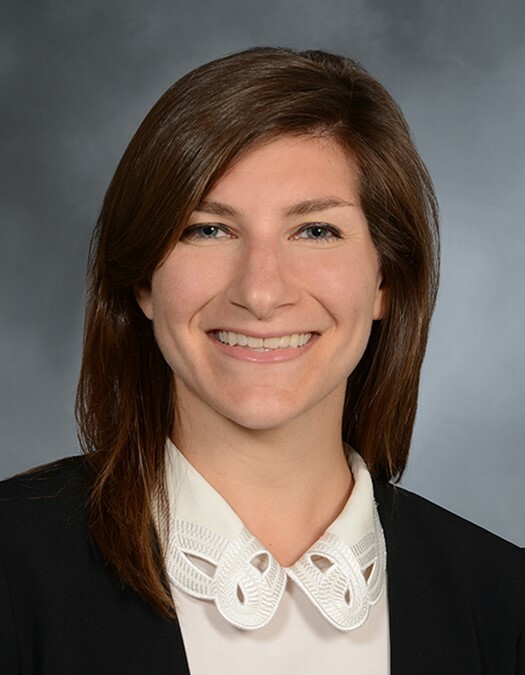 Dr. Madeline Sterling: Weill Cornell Internal Medicine Associates (WCIMA) feels like home and I am so excited to continue to care for patients here as a DGIM faculty member. Many of my patients have been with me since my intern year, so it’s a wonderful feeling to know that I will continue to care for those who literally helped train me! I’ve also been lucky enough to become a part of many of my patients’ lives, helping them through the ups and the downs of medical illnesses. I look forward to continuing to do this throughout my career. For those who don’t know WCIMA, it is a practice dedicated to providing high value, person-centered, and compassionate care to every patient that walks through the door. To me, this set of values is what makes primary care at WCIMA, and all of the physicians I practice with, very special. With respect to my research, I would like to thank the WCIMA leadership for their enduring support. I also am incredibly grateful for all of the patients who continue to volunteer their time to participate in my research studies as well as members of the staff and housestaff who have become co-investigators. Dr. Madeline Sterling: I hope to become an independently funded clinician-investigator, generating research at the intersection of primary care and cardiovascular disease, in order to inform patient care and health policy, while reducing health disparities. I also aspire to provide excellent clinical care and advocate for our patients, particularly the most vulnerable who may not be able to do so for themselves. Finally, just like many mentors have done for me, I hope to encourage trainees to pursue careers in general internal medicine.